The story of the Reivers dates from the 14th century and continued into the late 17th century. It concerns the border between England and Scotland, a frontier lacking law and order. Common in the highlands, islands and lowlands of Scotland, the prickly purple thistle has been Scotland’s national emblem for centuries. The thistle, which grows to a height of five feet, has no natural enemies because of the vicious spines that cover it. An essential piece of Highland dress to accompany a Scotsman’s kilt is the ornately decorated pouch that hangs down the front, commonly referred to as the sporran. But where did the sporran originate and what was its purpose? 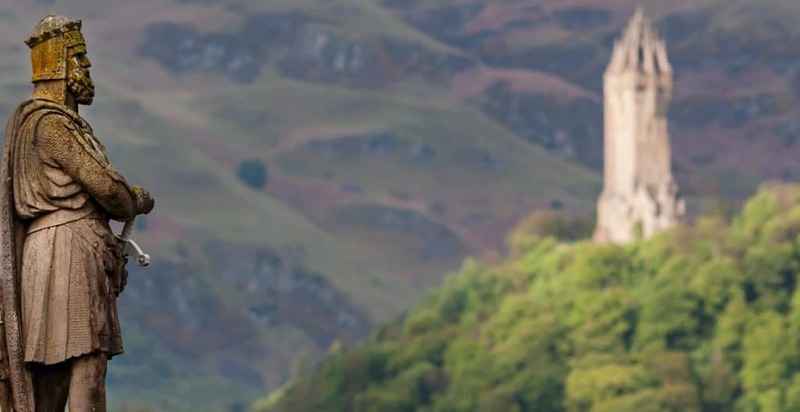 In Victorian times, people were enthralled by the novels of Sir Walter Scott, who portrayed a man called Rob Roy in one of his stories… a dashing and chivalrous outlaw. The truth was a little less glamorous, of course. The story of Burke and Hare, infamous grave-robbers and murderers in 19th century Edinburgh.